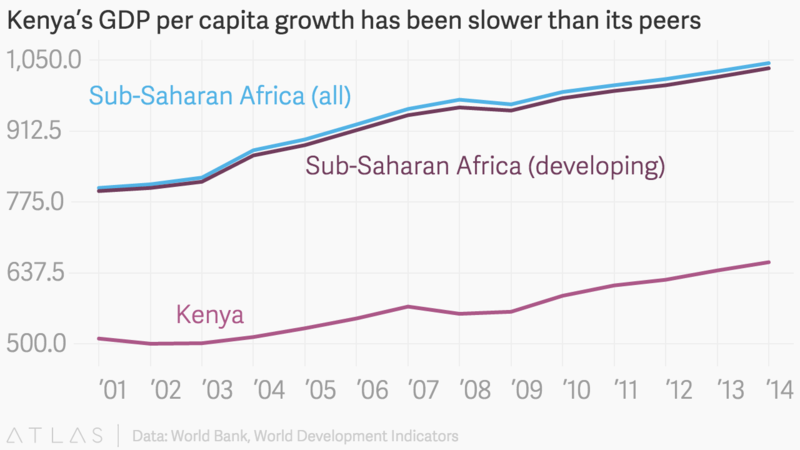 Scooper - Technology News: What's holding back Kenya's economy? What's holding back Kenya's economy? East Africa’s largest economy is underwhelming hopes that it would be one of the continent’s most successful growth stories. According to a new World Bank report , Kenya has underperformed its peers in economic growth, investment, and exports over the past decade. To meet its goal of becoming a developed economy by 2030, the country will need to jumpstart stagnating industries, provide more jobs for its youth, and reduce corruption, among other difficult tasks. As much as 80% of jobs are in the low-paying and less productive informal sector and only 75,000 formal jobs being created a year. 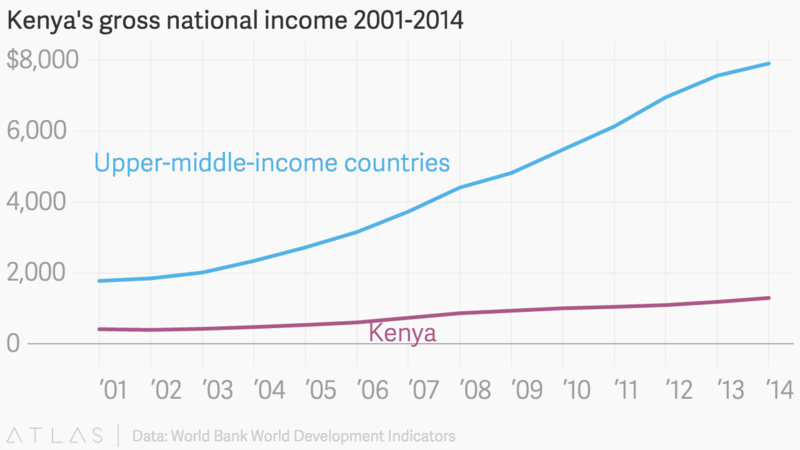 “What most Kenyans know is that the economy has become much more dynamic and innovative in the past decade. Looking at the data, however, shows that more work is needed to make such economic trends transformational,” the report says (p. 31). According to the report, if Kenya’s economy had kept pace with its peers on the continent over the past 10 years, the average Kenyan’s income would be 15% higher. Instead, the country has been hamstrung by stagnating manufacturing and agricultural industries, declining exports, and a low rate of household savings that can be tapped for investment in local industries and infrastructure. Kenya’s savings rate has been around 15% for the past decade, even as the size of the country’s middle class has doubled to account for almost one fifth (pdf, p. 23) of the population. (Its neighbor Tanzania’s savings rate reached 23% in 2012, even though its GNI per capita is lower than Kenya’s.) Investment as a share of GDP in Kenya is 20%, compared to the 25% benchmark, identified by the Commission on Growth and Development.